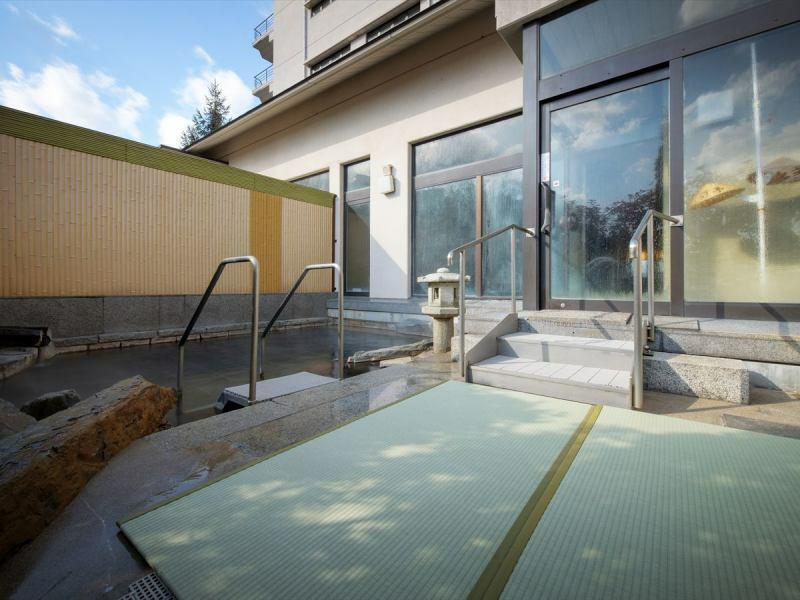 The famous hot spring of Akiu is a simple fountain friendly to your skin. Please enjoy it many times at a hot spring bath and hot spring bath for boys. Let's refresh to your heart's content. In 2017, renewed to Miyagi Prefecture's first tatami bath. I spread a soft tatami on the whole floor of the public bath. "Not slippery and secure" We have received popularity from children and elderly customers. Please heal your body carefully in a clean bath and relax. Especially in the powder room for women, we have plenty of amenities. We offer several types of shampoo, heel cream, hair cream, foundation cream and so on. ※For cleaning from 9:30, the final entry in the morning will be until 9:00. 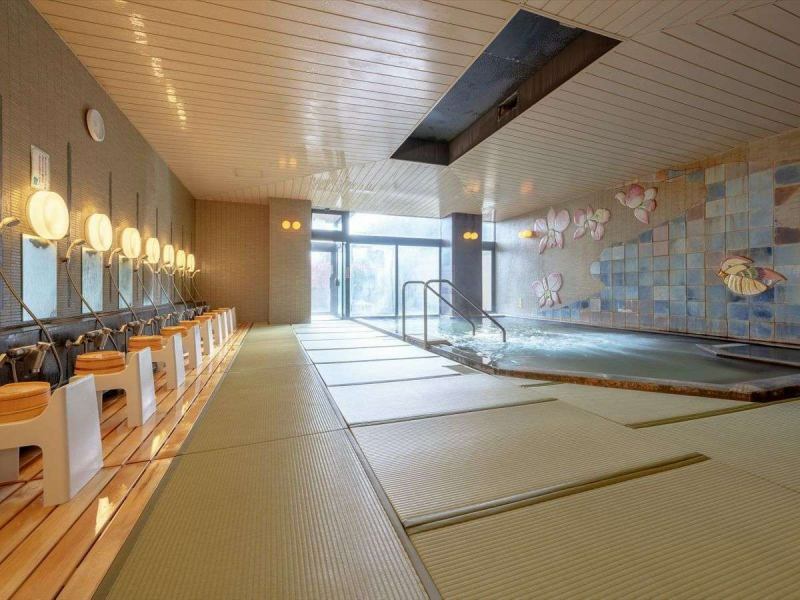 The large public baths are cozy with tatami mat flooring, gorgeous wall patterns and plenty of hot water. We are proud of the open rock outdoor bath. Bathing with small children is also possible as there are goods such as baby bathtub in the men's public bath. Even if you give your wife a relaxing time for bathing, you will be pleased. 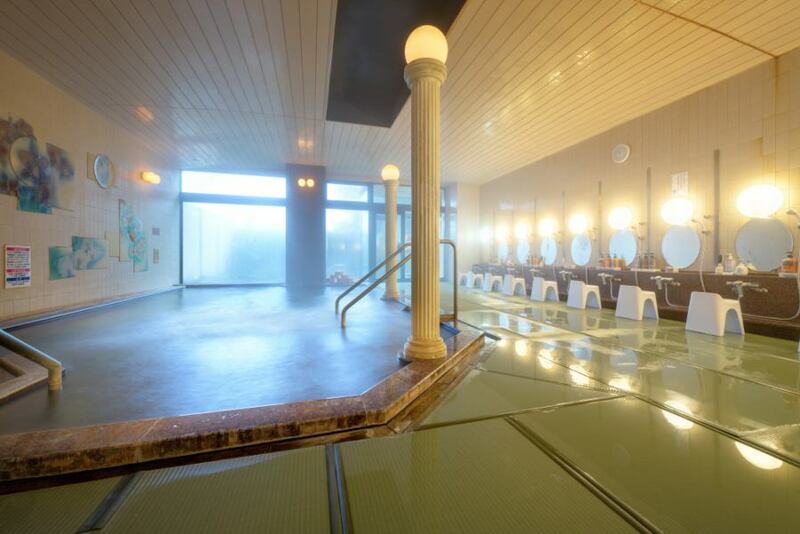 Akiu day-trip hot spring that you can enjoy the famous hot spring of Akiu casually is popular. There is no exclusive break room, but please relax as long as time permits in the lobby lounge. There is also a great day-trip plan that comes with meals and bathing. Please see the day-return page with meals and room breaks. 1) It is basically a regular holiday every Tuesday. ※It is subject to change. Please feel free to contact us for details. 2) In order to relax you, there are times when you restrict customers of day trips during congestion.